This Is My Home Featurette: Hotel Mumbia! Hotel Mumbai recounts the true story of humanity and heroism during the 2008 siege of the famed Taj Hotel by a group of terrorists in Mumbai, India. In a new featurette, director Anthony Maras and members of the film’s cast talk about making sure they got it right for those who lived through that experience. Hotel Mumbia opens in Los Angeles and New York on March 22nd before going wide on March 29th. This Is My Home Trailer: Hotel Mumbai! Hotel Mumbai vividly recounts the 2008 siege of the famed Taj Hotel by a group of terrorists in Mumbai, India. Check out the powerful new trailer for Hotel Mumbai below. Hotel Mumbai will be in theaters on March 22nd. Cars 3 Trailer: The Limit! The new trailer for Cars 3 finds Lightning McQueen not yet ready to yield the track to young up-and-comer, Jackson Storm. Cars 3 opens on June 16th. There’s a Storm On His Tail Trailer: Cars 3! Is Lightning McQueen the next Hudson Hornet? With a new generation of the legendary Lightning McQueen (voice of Owen Wilson) is suddenly pushed out of the sport he loves. His only chance to get back in the game? An eager young race technician named Cruz Ramirez (Cristela Alonzo). Cars 3 will be in theaters in 3D on June 16th. Disney’s The Lone Ranger is set in the old west, so naturally trains are a big part of it – the completion of a significant portion of the continental railway is one the film’s key plot points. What isn’t apparent onscreen, though, is that the filmmakers had to build their trains and lay their own track. Check out the video above to see that story – then follow the jump to watch a featurette on the film’s story & characters. The Lone Ranger is a Big, Raucous Ride! In a video interview with Armie Hammer, the Australian interviewer right.described The Lone Ranger as ‘the craziest movie of the year! The Lone Ranger, Armie Hammer talks to Michelle and EM! 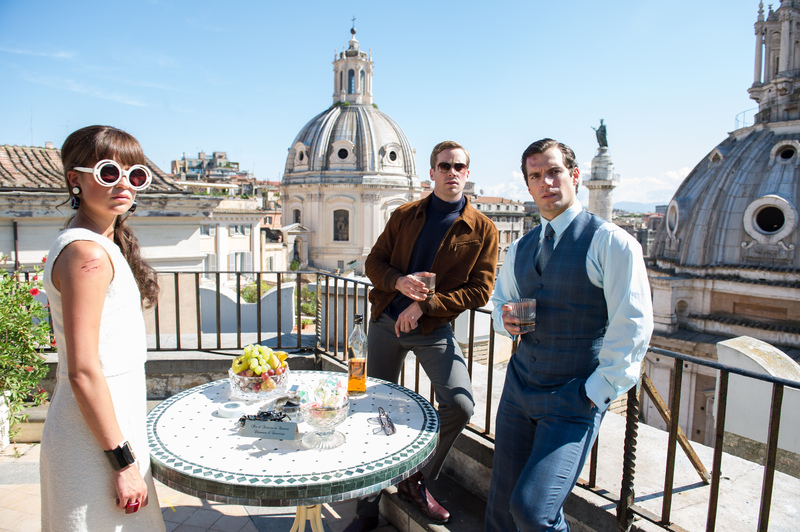 That Armie Hammer is a good looking, TALL drink of water! During a recent press conference for The Lone Ranger I asked him how he prepared for The Lone Ranger and what is like to take on such an iconic role. Dusty Trailer: The Lone Ranger! 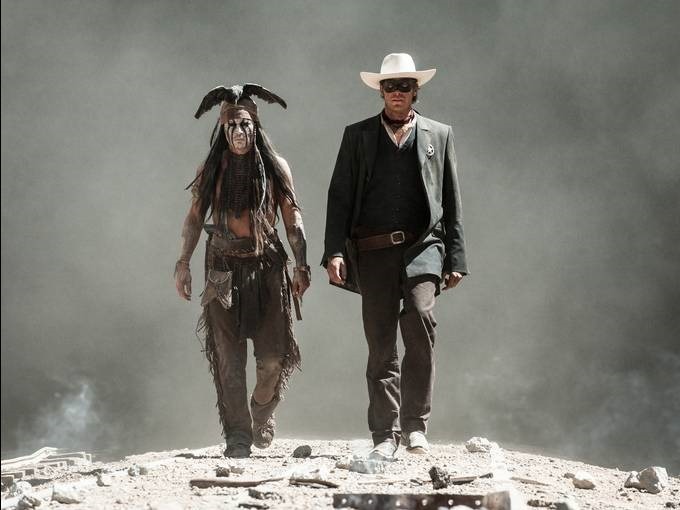 The Lone Ranger is one of those movies that could be either a spectacular success or a mind-boggling failure. The trailers – including the newest one (follow the jump to view) – look great, but trailers can lie. As a Lone Ranger fan since the original TV series, I’m hoping for the spectacular success – but I’m still crossing my fingers. 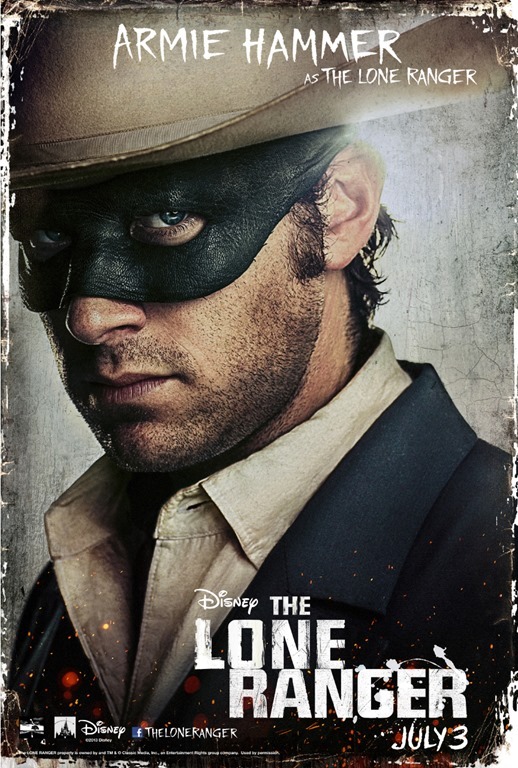 Explosive Trailer: The Lone Ranger! 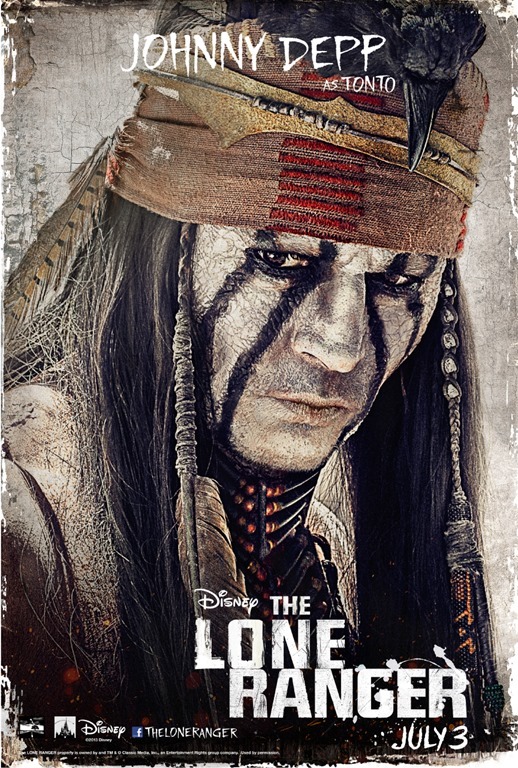 Character Posters–The Lone Ranger’s Got ‘Em! The jury may still be out as to whether Gore Verbonski’s The Lone Ranger will do for westerns what his Pirates of the Caribbean did for pirate movies, but it has to said: it’s gonna look cool! Four more character posters follow the jump.